Looking for quick and easy ways to help children settle down at the start of a school day? Mid-Week Focus this week features more tried and true attention-getting tools and tricks – my own ideas and strategies that other teachers have shared with me. INTRODUCE “LISTEN STAR” – Listen Star” is a classroom-tested attention-getting tool. It’s a large star on a long wand. Mine has bells hanging from the lower star points that jingle with movement. I keep “Listen Star” hidden from children until I introduce it. “Listen Star” “lives” upside down in a large bright party bag until I reach for its wand. 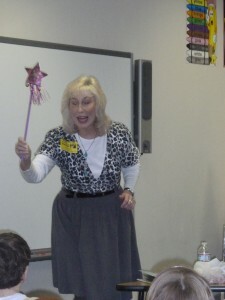 When I first introduce “Listen Star” to young children, I pull the wand out of the bag and wave the star back and forth way up high where everyone can see it. “Let’s give it a try,” I suggest, and I wave the star playfully, as if it were alive, and make its bells jingle to delight the kids and test once again the star’s amazing attention-getting skill. Voila! “Listen Star” is ready to fly and not just in school classrooms. 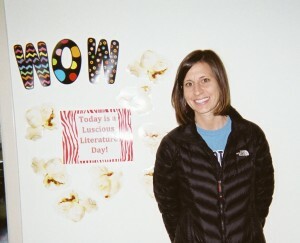 RHYME-TIME SHOUT-OUT – A first grade teacher I’ve worked with enjoys success using a rhyme game to catch kids’ attention and get them ready for Language Arts. Rhyme Time Shout-Out is a great lead into Luscious Literature Day! Children are encouraged to call out words that rhyme with “cat,” like “fat,” “hat,” “sat,” and so on. The teacher is wowed by how well her students listen during game time. How does she know they’re so tuned in? When any students repeat a word that has already been shouted out, they’re challenged by other kids to come up with something new. 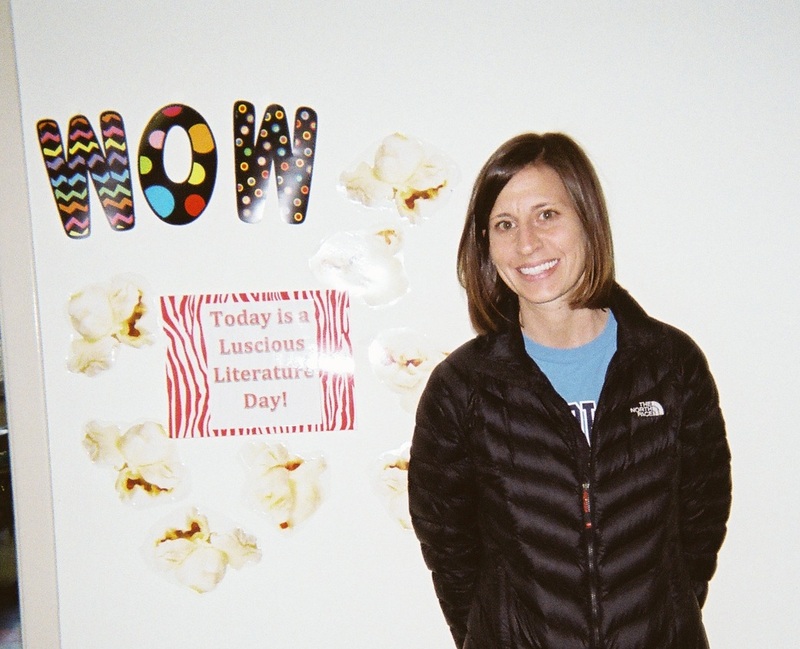 Another trick at play in the rhyme game this teacher so successfully plays to catch kids’ attention…she allows nonsense words to keep the game going for as long as she wants. This attentionology-savvy teacher is quick to point out, though, that she only allows nonsense words in this game, not when students are writing rhyme. Another big benefit this activity offers the teacher – students release pent-up energy; this helps prepare them to focus on learning. PROBLEM RESOLUTION TIME BEFORE LESSON TIME – A third grade teacher shares an attentionology tool that she’s been using for years because it is as predictably effective as some of her students are predictably distracted by problems when starting school each day. This open-ended question offers kids the opportunity to quickly pour out personal concerns of the day. Less burdened after expressing their feelings, students are better able to pay attention. The teacher points out that she often catches a few minutes with students before they take a seat at their desks or table groups. This allows for some privacy. Conversations at desks can be easily overheard and this teacher observes that most students prefer discussing problems in private. FORM AN ATTENTION CIRCLE – Circle time has been a popular method of sharing information, stories, suggestions, souvenirs…you name it…for decades in schools around the world. Invite students to take turns telling what helps them and/or makes them pay attention in school. You have all kinds of ideas for gaining and maintaining the class’ attention, but your students might surprise you with some new bright ideas. I read recently about a third-grade teacher who set up circle time to invite her students to take turns telling what makes them happy. 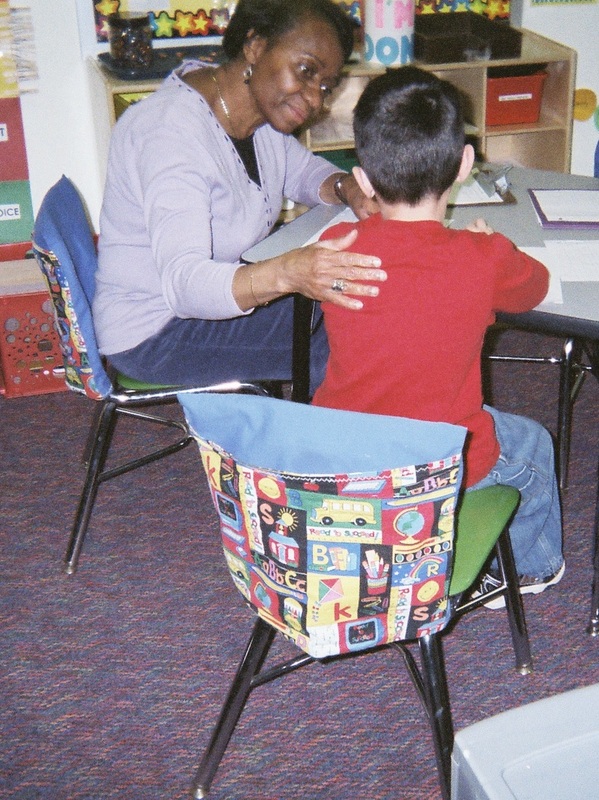 The magic of wands, words, and circle time is their multi-functional quality. Creative teachers can use old tools and strategies in new attention-getting tricks to prepare children for learning. Please subscribe here and send comments about your magical teaching tools. 2 Pings/Trackbacks for "Wands, Words, Circle Time to Prepare Children for Learning"